It was displayed first time outside in Concorso d'Eleganza Villa d'Este in 2012. Compared to the production version, it's very similar, with the biggest differences being front lights, side vents and mirrors. The vehicle was unveiled in 2013 Geneva Motor Show, followed by 2013 Essen 'Techno Classica', Goodwood Festival of Speed 2013, Moscow Raceway, 2013 Frankfurt Motor Show. US model includes extra bracing and strengthening required to meet U.S. crash regulations (including aluminium inserts in the carbon fiber chassis), resulting in 100 kilograms (220 lb) weight increase. 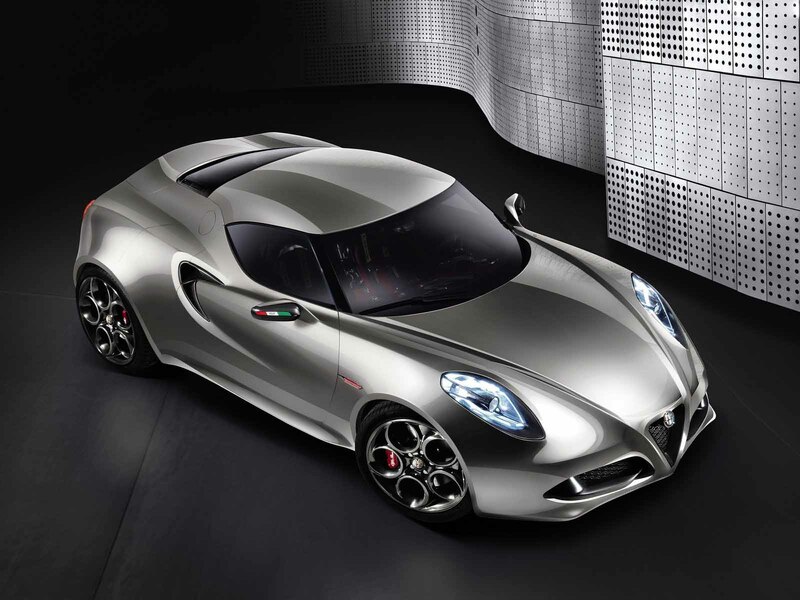 Sales of the US models of Alfa Romeo 4C were delayed until the second quarter of 2014. 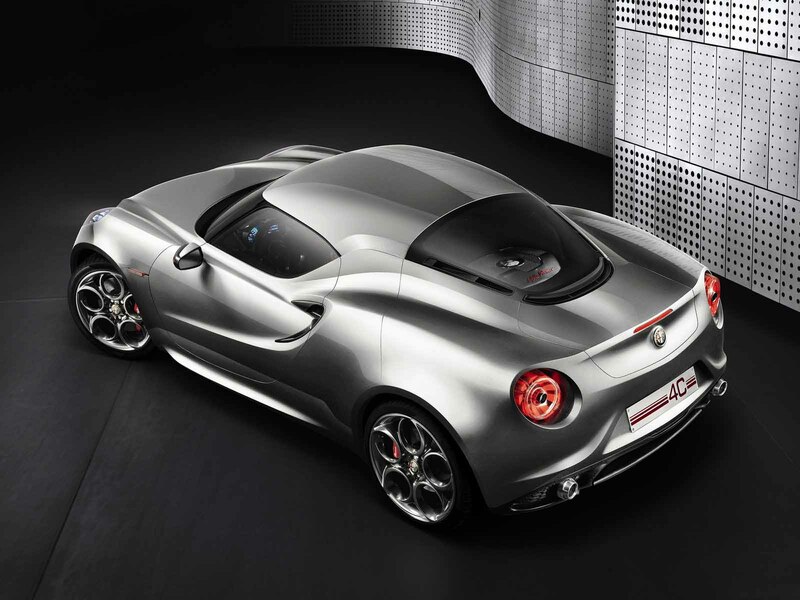 Alfa Romeo officially announced a Spider version of the 4C at the 2014 Geneva Motor Show, that comes with a manual removable hard top. The engine is the same as the Coupe version but 4C Spider has different external parts like the headlights, exhaust and engine hood. Alfa admits it has had to make some strengthening tweaks to the 4C to cope with being decapitated, with the net result being a 60 kg (132 lb) weight increase. The Launch Edition vehicles are limited (400 in Europe, Africa and the Middle East, 500 in North America and 100 in the rest of the world) versions of the early production Alfa Romeo 4C units. The vehicle includes a choice of 2 body colours (Alfa Red, Carrara White), carbon aerodynamic kit (including headlights, spoiler and door mirror covers), rear aluminium extractor with dark finishing, Bi-LED headlights, 18-inch front and 19-inch rear alloy wheels with burnishing treatment, front air intakes and brake calipers in a specific colour, racing exhaust system with BMC air cleaner, and suspension kit with specific calibration for shock absorbers and rear anti-roll bar, highlights provided by the leather/fabric sports seats with parts in Alcantara, numbered carbon badge. For Alfa Red body colour car, it included red stitching on the steering wheel trim, handbrake, mats, handles and sports seats. The vehicle was unveiled in 2013 Geneva Motor Show. European model is a limited (500 units) version include choice of 2 body colours (Alfa Red, exclusive matt Carrara White), carbon aerodynamic kit (including headlights, spoiler and door mirror covers), rear aluminium extractor with dark finishing, Bi-LED headlights, 18-inch front and 19-inch rear alloy wheels with dark treatment, front air intakes and brake calipers in a specific colour, racing exhaust system, suspension kit with specific calibration for shock absorbers and rear anti-roll bar, sports seats and steering wheel covered with leather and microfibre and trimmed with white stitching with distinctive plate with progressive numbering from 1 to 500. For Alfa Red body colour car, it included red stitching on the steering wheel trim, handbrake, mats, handles and sports seats. The vehicle went on sale for 60,000 euros including VAT. 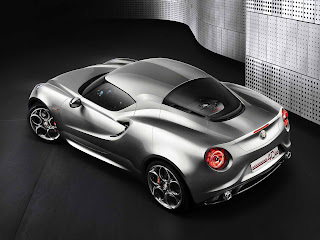 The car was designed by Alfa Romeo Centro Stile (Style Centre) and developed by Alfa Romeo. The carbon fiber tub is produced by TTA (Tecno Tessile Adler) in Airola, a joint venture between Adler and Lavorazione Materiali Compositi (Lmc). The body will not be made entirely of carbon fiber, with the front and rear frames being aluminium. This increases the weight to around 900 kg (2,000 lb). 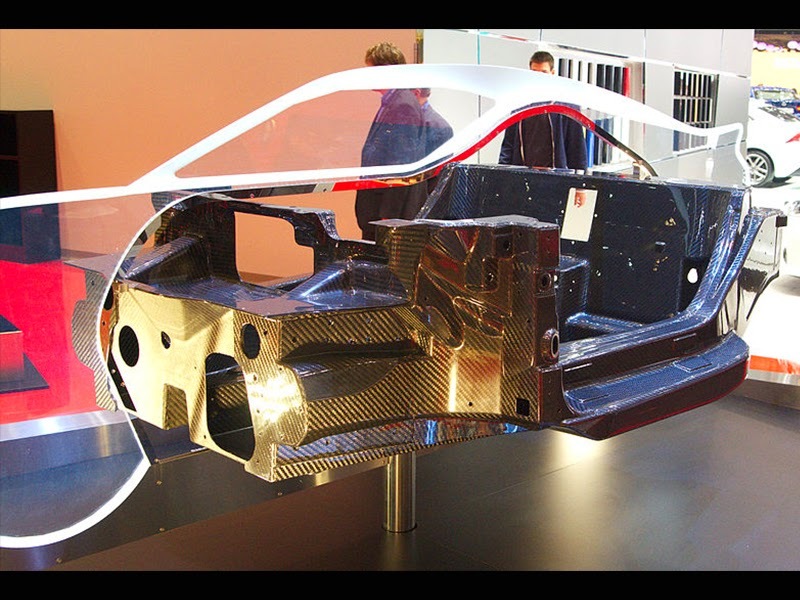 The chassis of the car weighs only 65 kilograms (143 lb) and is a single carbon fibre body, just like that in supercars. Outer body is made of composite material which is 20% lighter than steel body, stability is comparable to steel and better than aluminium. Italian car magazine Quattroruote published the lap time of 4C around Nurburgring. It managed to do it in 8:04. The 4C is equipped with six speed Alfa TCT Dual Dry Clutch Transmission, and can be operated via gearshift paddles on the steering wheel. It also has an Alfa 'DNA' dynamic control selector which controls the behavior of engine, brakes, throttle response, suspension and gearbox. In addition to the modes already seen in Giulietta, the 4C has a new "Race" mode. 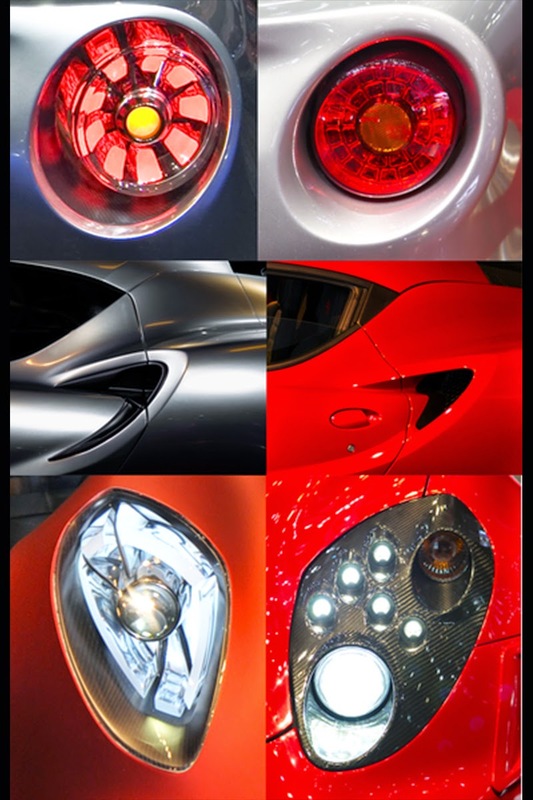 The 4C has a high quadrilateral suspension at the front and MacPherson struts in the rear. 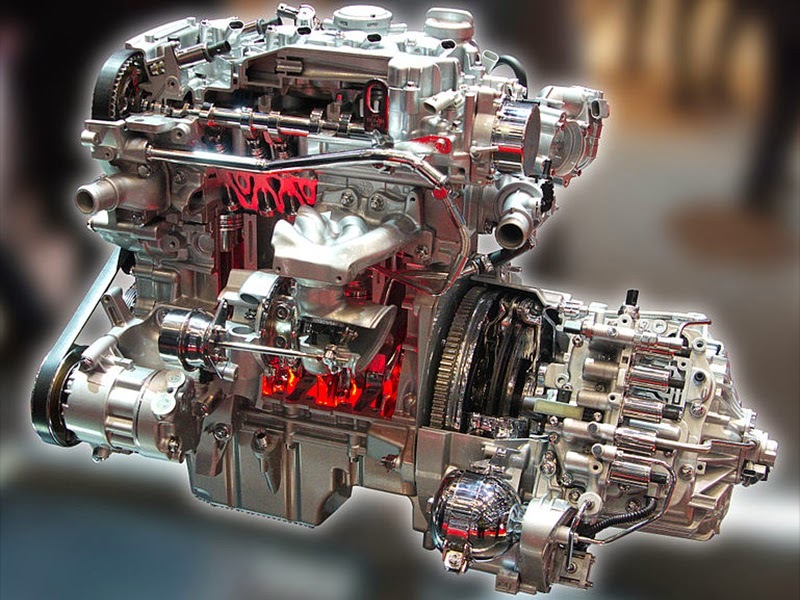 Resultant weight distribution is 38% on the front and 62% on the rear axle. The front and rear rims are a different diameter and width; 205/45 R17 front and 235/40 R18 back as standard, with optional 205/40 R18 and 235/35 R19. Both wheel options are shod with Pirelli P Zero tyres. The 4C has ventilated disc brakes in all corners, in front Brembo 305 millimeters and in the rear 292 millimeters. The car can stop from 100 km/h in 36 meters. To save weight and increase steering feel, the 4C has no power steering. On 2013-09-12, Alfa Romeo 4C (with Pirelli P Zero Trofeo tyres) driven by Horst von Saurma completed the Nürburgring Nordschleife circuit at in just 8 minutes 4 seconds, breaking speed record for all production cars with engines under 250 HP. Alfa Romeo 4C was used as an Official Safety car of the SBK Superbike World Championship in 2013 season. The chassis '4C000' was unveiled in 2013 Geneva Motor Show. Production of Alfa Romeo 4C was originally estimated to be over 1000 units per year, with upper limit of 3500 units per year, depending on the quantity of carbon fiber chassis could be built by supplier Adler Plastic. Within the 3500-unit quota, 1,000 units of which are earmarked for Europe. "Most Beautiful Car of the Year 2013" at the 29th International Automobile Festival in France—with 41 percent of the votes, ahead of the BMW 4 Series (25% of the vote), Mercedes-Benz CLA(22%), and Mazda3 (12%). More than 100,000 votes were cast in more than 50 countries. Import sports car category in the Auto Motor und Sport "Best Cars 2014" awards—barely edging out the previous winner, Aston Martin Rapide S.
Alfa Romeo 4C was awarded 'Best Sports Car 2013' under the compact supercar category by El Economista vote. Readers of 'Auto Zeitung' named it winner of the "Sportscars/Imported" category of the 26th edition of 'Auto Trophy' with 17.2% of the votes—beating out more expensive models like the Aston Martin V8 Vantage (16.6%) and the Jaguar F-Type (15.8%). It won the Reader Award for "the most exciting car to be launched in 2013" from 'What Car?'. FHM magazine named it 2013 Car of the Year. As part of Alfa Romeo 4C launch, Alfa Romeo Style Centre and Compagnia Ducale designed a 4C IFD(Innovative Frame Design) Bicycle, inspired by the Alfa Romeo 4C coupé. The vehicle went on sale in December 2013 and marketed in Europe, Asia and America. Last updated on 30 March 2014 at 09:32.